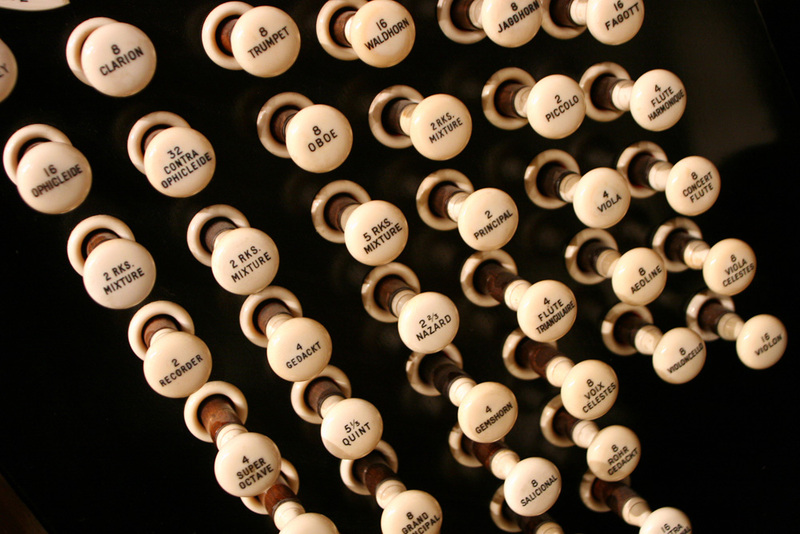 Under the skilful direction of John Fussell, Director of Music and City Organist (1970-1990) a substantial programme of refurbishment of the organ was accomplished, with some tonal additions whilst retaining the original and revered tonality of the Willis organ characteristic of the early 1900s when the firm were installing large cathedral organs (e.g. Liverpool Cathedral and Westminster Cathedral). 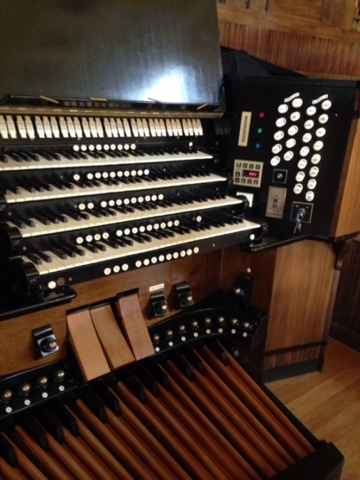 The four-manual concert organ, with over 3500 pipes and consisting of Great, Swell, Positive, Solo and Pedal divisions provides a fine instrument for the accompaniment of choirs, for use as a solo instrument or in combination with an orchestra, small or large. 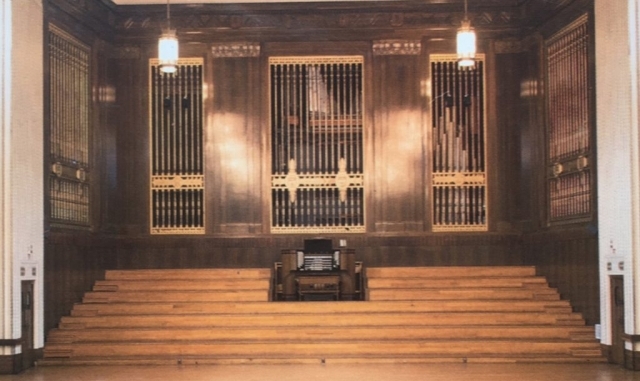 That such a fine hall was to be blessed by the remarkable acquisition of the Brangwyn murals is incredible. That serendipity should extend to a timely gift of money and the availability of an organ with a specification beyond Swansea’s imagination is just unbelievable! 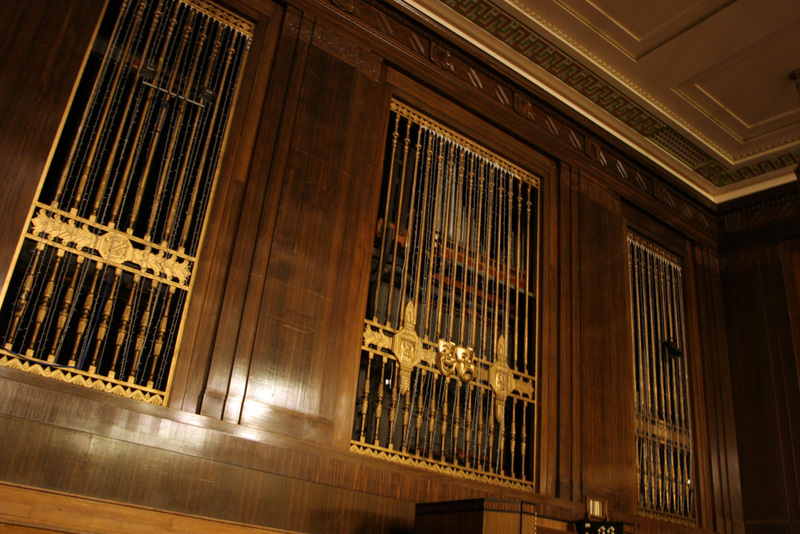 The organ is as much a jewel in Swansea’s crown as the paintings. Together, they provide a concert hall with unique ambience. The organ has proved its worth in countless civic occasions, graduation ceremonies and concerts. 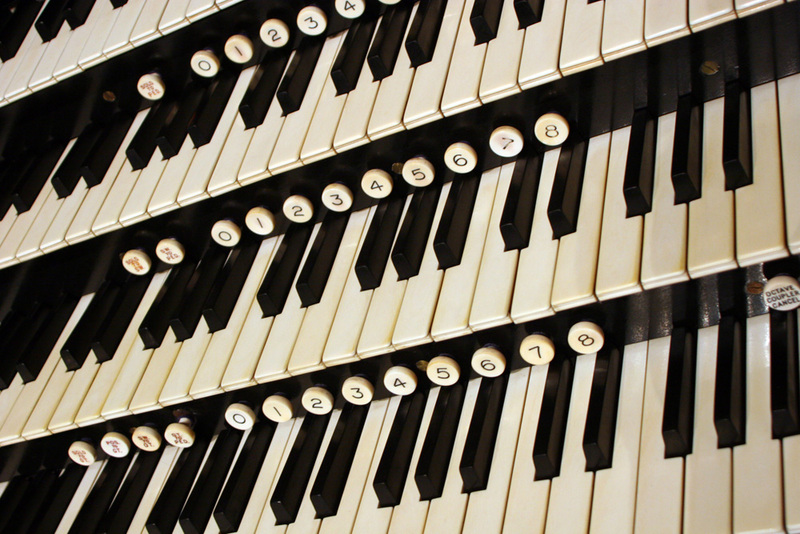 Recent lunch-time concerts have proved popular and the organ continues to attract professional organists from across the UK to perform, often free of charge. 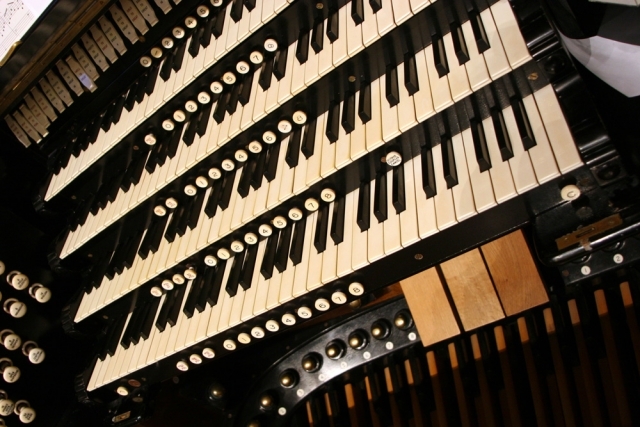 Visitors wishing to play the organ should, in the first instance, approach the Hall Manager, leaving sufficient time for appropriate arrangements to be made. Special permission must be sought for recordings to be made on such occasions.